Blue Sky Studios is probably never going to reach the heights of other animation studios like Pixar or Dreamworks, but they do some pretty good work. Their biggest franchise by far is the mega-successful Ice Age, but I would say the Rio movies are good, as well. They've had modest hits with films like Ferdinand, Robots, and my personal favorite The Peanuts Movie, and now they hope to have another on their hands with Spies in Disguise. The spy movie features the voice of Will Smith as super spy Lance Sterling, and Tom Holland as genius scientist Walter Beckett, who builds all of Lance's cool gadgets. They're polar opposites but the partnership works until Walter turns Lance into a pigeon, then they must learn to partner up in a new way to save the world. Ben Mendelsohn, Karen Gillan, Rashida Jones, DJ Khaled, and Masi Oka also lend their voices to the film. 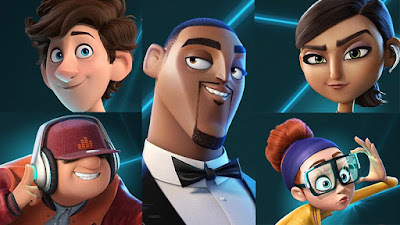 Directed by Nick Bruno and Troy Quane, Spies in Disguise opens September 13th 2019, after originally being set for April. That's a pretty big bump, so why put out the teaser now?